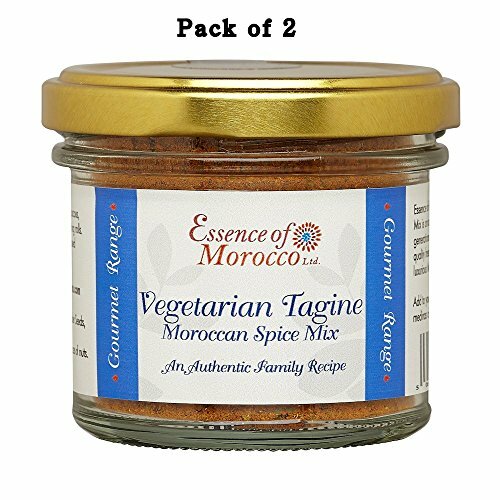 Vegetarian Tagine Moroccan Spice Mix is an authentic family recipe inherited over many generations. It has been carefully blended from the finest quality freshly ground spices, giving dishes a distinctive luxurious Moroccan aroma. Use to make succulent Vegetarian Tagines or Couscous, traditional Moroccan mezzes and vegetarian spring rolls. Can also be used as a rub for roasted or barbecued vegetables by making a paste with olive oil. 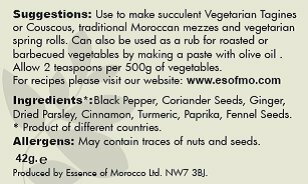 This offer is for 2 x 42 g jars of Vegetarian Tagine Moroccan Spice mix. 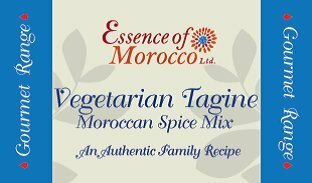 Vegetarian Tagine Moroccan Spice Mix is an authentic family recipe inherited over many generations. It has been carefully blended from the finest quality freshly ground spices, giving dishes a distinctive luxurious Moroccan aroma. 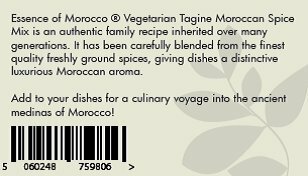 Used primarily to make traditional Moroccan mezzes and side dishes that complements the traditional Moroccan lamb, chicken or fish Tagines. Makes also succulent vegetarian Tagines or Couscous, and vegetarian spring rolls. Can also be used as a rub for roasted or barbecued vegetables by making a paste with olive oil. 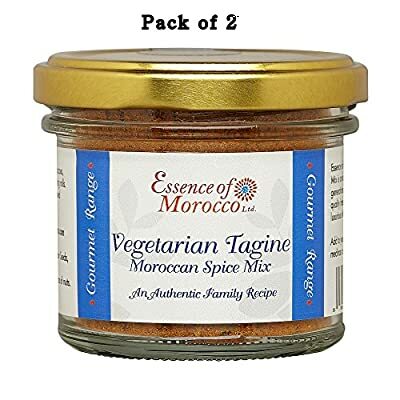 This offer is for 2 x 42 g jars of Vegetarian Tagine Moroccan Spice mix.